According to an article on Business Live by Professor Collette Schulz-Herzenberg, undecided voters will be key to the election results as party loyalties wane. 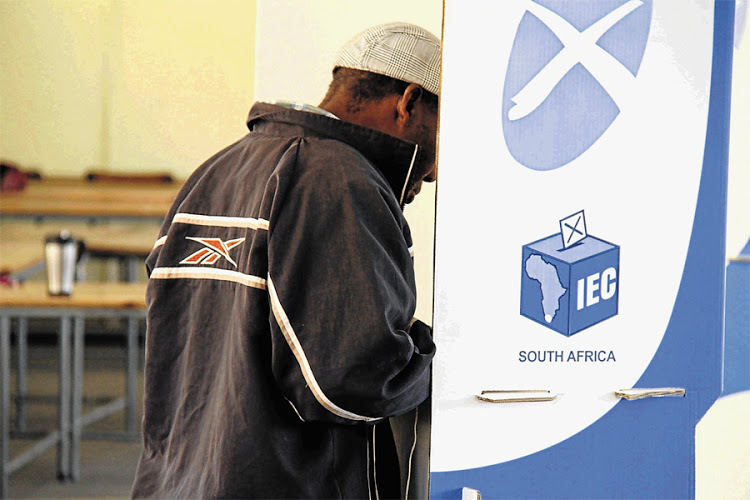 The latest SACS data found that only 55% of eligible voters feel close to a political party. Parties will be forced to appeal to the 45% of the electorate who will approach the 2019 election without strong party ties, and a more critical eye. For a majority of SA’s electorate deciding which party to support in the 2019 elections should be a fairly straightforward matter. The most recent data available, from the nationally representative SA Citizens Survey which has a sample size of 3,900 respondents, found that 55% of eligible voters feel close to a political party. Party identification provides a useful shortcut to the world of politics and acts as a voting guide at the polls. Much like a deep-seated loyalty to a football club, one can be critical or even frustrated at times but enduring support matters and is likely to continue. However, the survey data also suggests that party loyalties are waning. The proportion of eligible voters who said they felt close to the ANC dropped from 39% in early 2018 to 35% currently. Another combined measure of party affinity (those who like and prefer the ANC above all other parties) decreased from 51% in 2015 and now sits at 40% in late 2018. This is probably the most revealing measure of all because it gives us the clearest indication of likely support for the party at an election. In other words, the ANC can count on, at the very least, a 40% national share of the vote (assuming all these people vote) but it will have to do much better to reach the 50% plus one required to clinch political power. From a partisan perspective, the DA and EFF pose little threat to the ANC. Only 7% of voters are self-declared partisans for either party. Again, only 10% like and prefer the DA or the EFF over all other parties. The only key difference between the DA and EFF is that on all affinity indicators the DA has declined over the past three years, possibly the consequence of messy internal party issues that are off-putting for voters. By all accounts the EFF has grown in popularity and now almost matches the DA on all ratings. Unless the political scene experiences tumultuous and unexpected events in the next six months the three largest parties can expect to enter election season with the ANC relying on a core of support from less than 50% of the electorate, while the DA and EFF will enjoy a highly predictable base of support of about 10% each. While partisans are more likely to vote on election day than people who do not feel close to political parties, and thus constitute a crucial support base for any party, their likely support will be insufficient for any of the three largest parties to secure meaningful victories. Parties are therefore forced to appeal to the 45% of the electorate who will approach the 2019 election without strong party ties, and a more critical eye. Many millions of these floating voters are probably undecided about which party to vote for, or whether to vote at all. Moreover, they will be late deciders, doing so late into the election campaign. Political parties will have to work that much harder to win over these voters. This makes a host of factors increasingly important. When voters are not partisan, or have simply stopped being partisan over time, they tend to look around at other short-term issues to help them figure out whether to vote, and which party or candidate to vote for. Incumbent performance, or how well the government is perceived to have performed, is always a point of departure. On this issue, only a small core of ANC partisans is likely to give the government a high score. Between the second and third quarters of 2018 the survey found, much like other recent surveys, that the majority of voters who think the country is heading in the wrong direction has increased from 55% to 65%. Perceptions of a weakened economy and mistrust in key democratic institutions has also all increased. As the governing party, the ANC suffers negative performance evaluations in a range of areas and across broad and diverse sectors of society. In less volatile times, this surely would sound an electoral death knell for any party teetering on a slim majority. But the ANC has a winning card: President Cyril Ramaphosa. Positive job approval ratings of the presidency have shot up from 22% when former president Jacob Zuma left office to 64% after Ramaphosa took over. He now ranks as the most popular political leader by far. But as the ANC’s biggest election drawcard Ramaphosa will need to sustain tentative public trust as the right person to redirect the economy and deal decisively with myriad governance and corruption issues. Any slippage is likely to dissolve public confidence in the party at large. Given the complexities and contradictions involved in evaluating the ANC right now, voters will be tempted to look at other political options. The content, rhetoric and style of election campaigns will matter, as will the behaviour of party leaders and candidates. Parties and leaders will have to strut the election catwalk for months in convincing fashion, under the critical eye of millions of undecided voters. The leadership performance of opposition parties therefore becomes a critical indicator for voters. In late 2018, while Ramaphosa enjoys a fairly decent performance rating of 56%, the popularity scores of the leaders of the two largest opposition parties are far lower. In fact, they are neck and neck, with the DA’s Mmusi Maimane at 31% and EFF leader Julius Malema at 29%. While the battle of political leadership will be key in 2019, both opposition leaders are going to struggle to dent Ramaphosa’s credibility. Given this and the fact that they are level in the race, they are going to have to find ways to outshine each other. An historical perspective on this data provides some initial clues as to how the electorate might respond. Maimane has the higher score at 31%, but it has plateaued over the past year at a crucial time, when party leaders should be enjoying greater popularity as elections approach. On the other hand, Malema’s popularity rating has soared from 16% in early 2016 to 29% in late 2018, almost doubling. What to make of it all? The elections will be a closer race than ever before; the quality of party leadership will be a crucial deciding factor for all parties; and in a significant departure from previous democratic elections, the ANC will not be able to rely on its core partisan support base to march it to victory. The two largest opposition parties will be in a contest with each other as much as they will be with the ANC to wrest second place (and perhaps the kingmaker position). What is certain is that political parties will not be able to take votes for granted and will need to use the election season wisely to convince millions of South Africans that they are worthy of their votes. Schulz Herzenberg is a senior lecturer in the department of political science at Stellenbosch University.